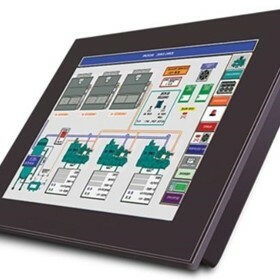 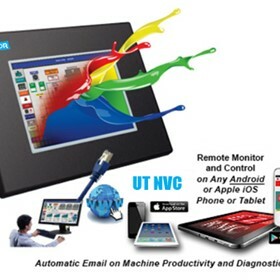 Uticor AVG supplies industrial automation equipment such as HMI touch screens, panels, operator interfaces, industrial computers and PCs, PLCs, programmable logic controllers, flat panel monitors, LED signs and electronic displays. 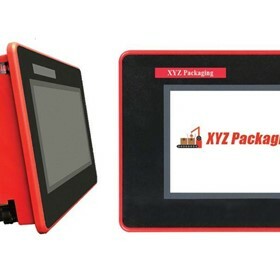 We focus our expertise on supplying factory automation products and solutions while providing comprehensive service and support facilities right here in Sydney with a full compliment of spare parts for fast turn-around times. 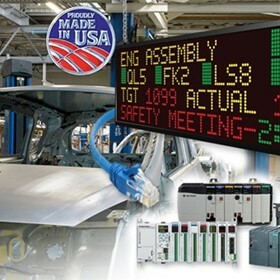 Our core business revolves around providing system integrators with a large choice of operator interfaces, touch screens, panels and industrial computers right through to large OEM's with a complete range of PLCs, industrial PCs and electronic scoreboards and signs. 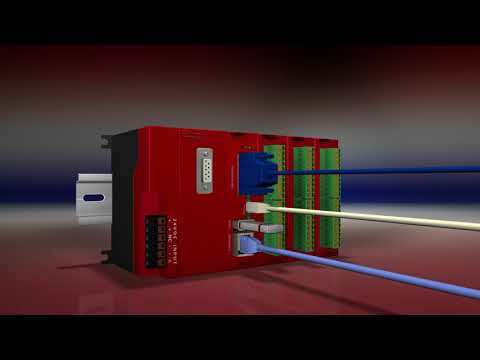 We even have speciality resolvers, PLS units, shaft and rotary encoders and more. 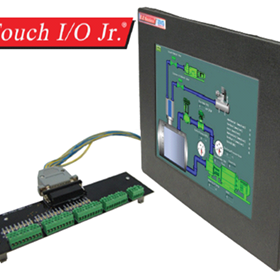 Integral to the sale of our products is the technical and application assistance utilizing over 30 years of combined experience in the application service and support of automation equipment. 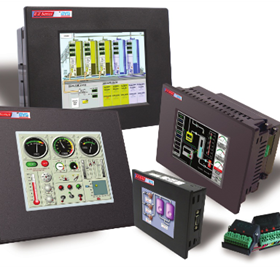 Our line-up of industry-leading products coupled with our in-house technical resources enable us to assist you with high quality products, excellent product knowledge and superior application support. AVG Automation (US) is the manufacturer of hardened industrial products for the manufacturing, OEM, mining and automotive industries. 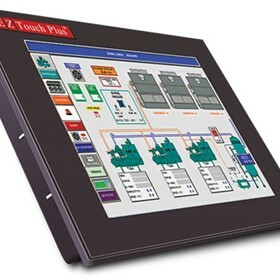 With well know brand names such as Uticor, EZAutomation and Autotech these products have the reputation of being "built like a tank" to ensure longevity in the toughest environments. 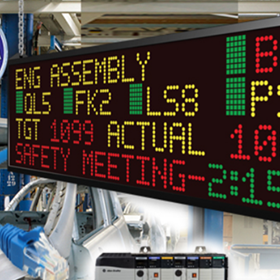 Uticor AVG offers a comprehensive range of HMI’S and Marquee (LED displays) for industry, utilising many well known factory network solutions. 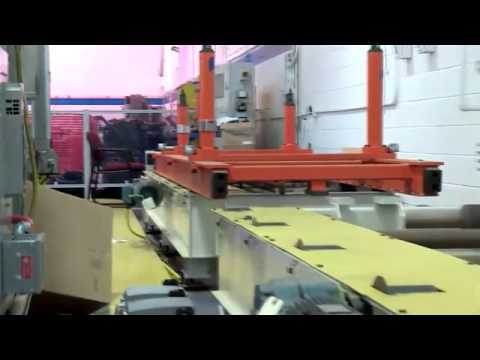 Autotech offers a range of PLS’s and resolvers for heavy duty position control systems used by manufacturers with stamping and packaging requirements-just to name a few. 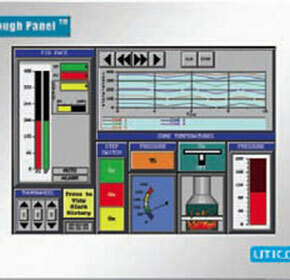 Uticor products meet the toughest of specification and are built to handle the harshest applications. 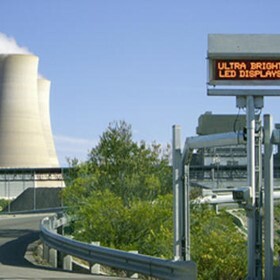 That's why they have the built like a tank reputation. 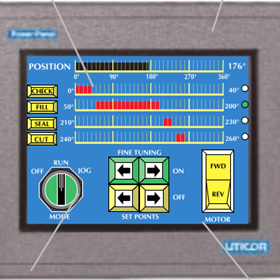 Should your application be less demanding then why not consider the lighter build version of the Uticor range marketed under the EZAutomation brand. 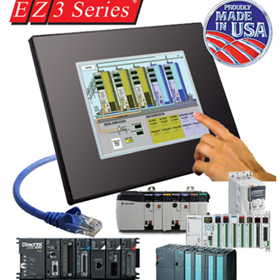 www.ezautomation.com.au With 95% of the Uticor features but priced for the cost sensitive market the EZAutomation line is unbeatable value for money. 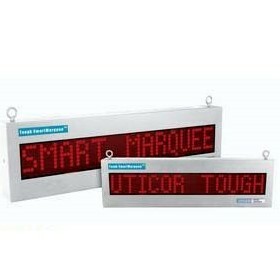 NEW EZiMarquee All-in-One Master LED Message Display! 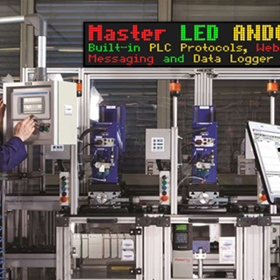 Add a Marquee to a PLC Network without Changing PLC Program. 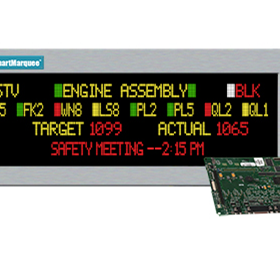 Our Marquee now allows you to add a display to communicate Machine/Process status/Alarms to plant floor without having to make any changes. 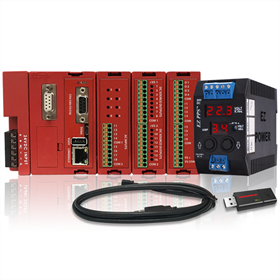 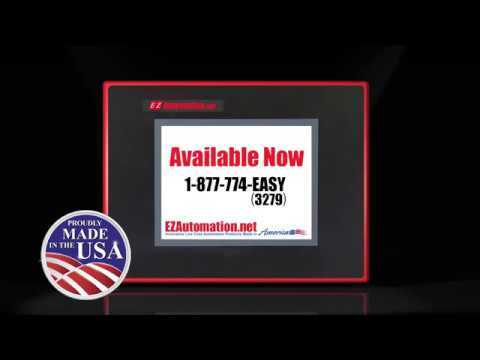 EZAutomation is your true one stop shop for all your automation needs from HMIs, PLCs, smart LED displays timers, proximity sensors, programmable power supplies and much more. 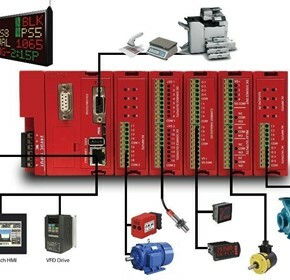 How do you determine direction of rotation and resolution in an Incremental Quadrature Encoder? 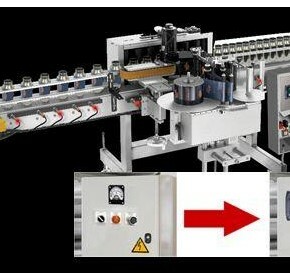 As you can see from the picture of the disc used in an absolute optical encoder, it is much more complex than the simple disc used in incremental encoders. 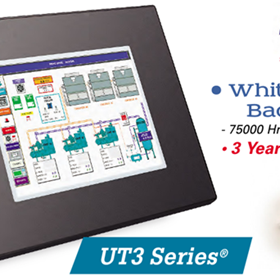 HMI touch operator interface panels that strikes the sweet spot between features and price manufactured by Uticor USA. 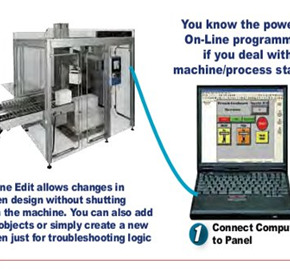 Trouble shoot and upload program screens live without having to shut down machines and operations. 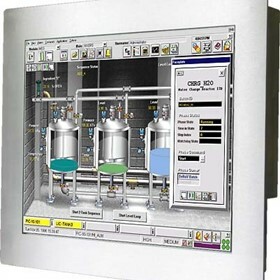 Todays Human-Machine Interfaces or HMI have evolved a long way from their humble beginnings. 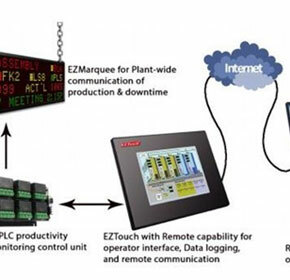 Rather than just a basic interactive display in a long chain of automation and control equipment, HMIs are now gaining more and more features with this increasing level of sophistication inversely proportional to the cost of ownership.